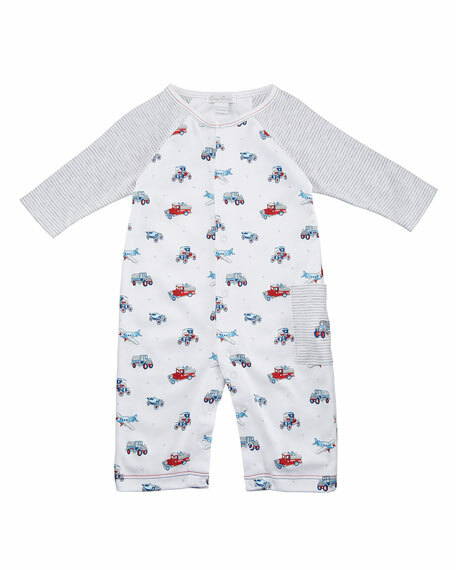 Kissy Kissy printed coverall from the Classics collection. Contrast, striped sleeves and patch pocket at left side. For in-store inquiries, use sku #2716595.